Christian, 18, says that while Our Idiot Brother had some flaws, it will make you laugh. Patricia, 19, loved Ellen Hopkins’s chilling story about a girl who goes on a journey to learn her faith, love and a woman’s role. Victor, 18, says that the great special effects in Rise of the Planet of the Apes couldn’t make up for a boring story. 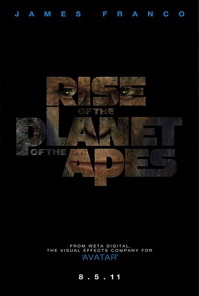 If you are expecting action in Rise of the Planet of the Apes you’ll be disappointed like I was. The movie took too long before any fighting happens. The big fighting scene happens almost at the end. The ending was a disappointment that left me unsatisfied. The movie takes place in present day San Francisco where a scientist, Will Rodman (James Franco) is trying to create a medicine to cure Alzheimer’s disease. A series of tests is performed on chimpanzees, and those tests reveal that the medicine could cure Alzheimer’s. But the project is shut down after a chimpanzee reacts violently. The medicine is passed down genetically to a baby chimp that then is rescued by Will. The rescued chimp, Caesar, is smarter than other chimps but Will doesn’t realize what he has created until it’s too late. What I liked the most was the effects. They were very realistic like when Caesar defends Will’s dad from his neighbor. He jumps at him and starts chasing him through the streets. Then Caesar throws him to the ground and bites his finger and you could see the anger in his face . Going in I knew that the effects were done by the same studio that did Avatar, so I expected them to be as good. The movie’s title misled me, too, because I thought it was going to show how they finally took over the humans, but instead it showed how they got smarter. The movie ended with how I thought it was going to begin. If there is another movie I hope that it has all the action this one was missing.